MicroVision’s latest offering is an all new pico laser projector called the MicroVision SHOWWX+ that’s designed just for Apple gear. iPhone and iPad users will now be able to view their screens in a 100-inch frame with 15 lumens of video at a 5,000:1 contrast ratio. The projector can run for up to 2 hours on a full battery, which is a bit disappointing. You won’t be watching long movies I guess. It comes with a connector for Apple devices and a price tag of $450. Another day, another pico-projector. This latest is a new model by RoyalTek, the RPJ-2000, all set to be the first of several from the company in 2010. The RPJ-2000 uses a second-gen 3M LCoS chipset and will project up to a 65-inch image with 14 lumens brightness and 640 x 480 resolution. This one includes VGA and NTSC/PAL TV inputs, but there’s no integrated mediaplayer or onboard storage. They do throw in 0.5W stereo speakers and the RPJ-2000 is Apple-certified so you can use it with iPods and iPhones. You just have to add $43 for the adapter kit on top of the $315 price. 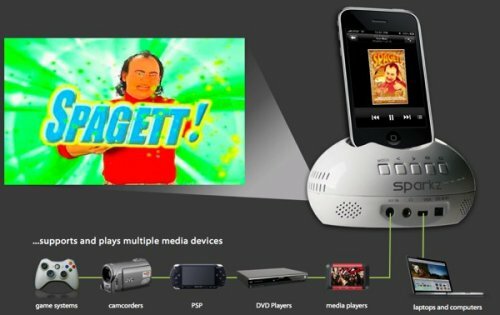 If you’re looking for an Apple handheld pico projector, you have one more option. 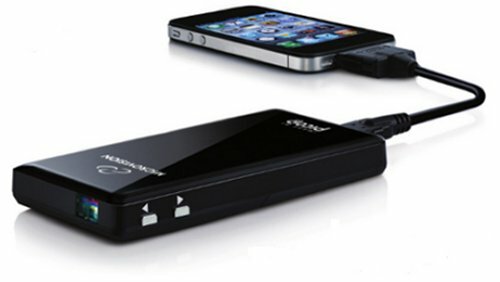 Sparkz is a dock that is compatible with your iPhone, iPod touch, or iPod video, along with other A/V and VGA sources. It features 640 x 480 resolution, a 60-inch viewing area, and stereo speakers. How much would you expect to pay for this device? 250? 350? This can be yours for the price of $495. Is it worth it? I’ll let you be the judge of that. It will also charge your iPhone and it comes with a tripod. CES may get more attention from gadget hounds and fans of PCs, but MacWorld gets lots of headlines and the attentions of Apple fans around the world. The two shows run around the same time and offer lots of new products to fans. Microvision has announced that it will be showing its pre-production version of its pico projector dubbed SHOW WX at MacWorld. 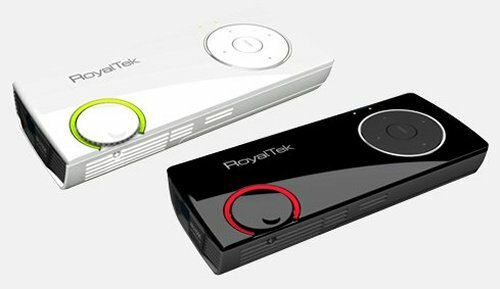 The new version is 25% smaller than the previous SHOW projector prototype according to Microvision. When Moti Barzilay had to design something iconic in the Apple universe of products, something he felt was missing, the iShow was the end result. 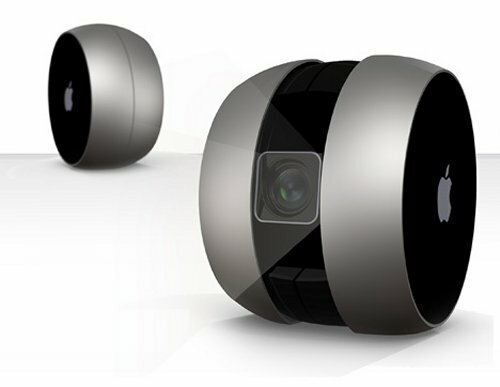 It’s a portable projector designed for Apple’s line of iPods, iPhones, and MacBooks. The body turns on when you pull the two discs apart to reveal a pico projector and some ports. The projection system is LED based. Not very many details other then that, but since it’s a concept we can hope for HD resolution and the ability to roll itself around and take a charge by becoming a yo-yo and offering up some nice tricks with the string. That would be something to see Steve Jobs play with on stage.